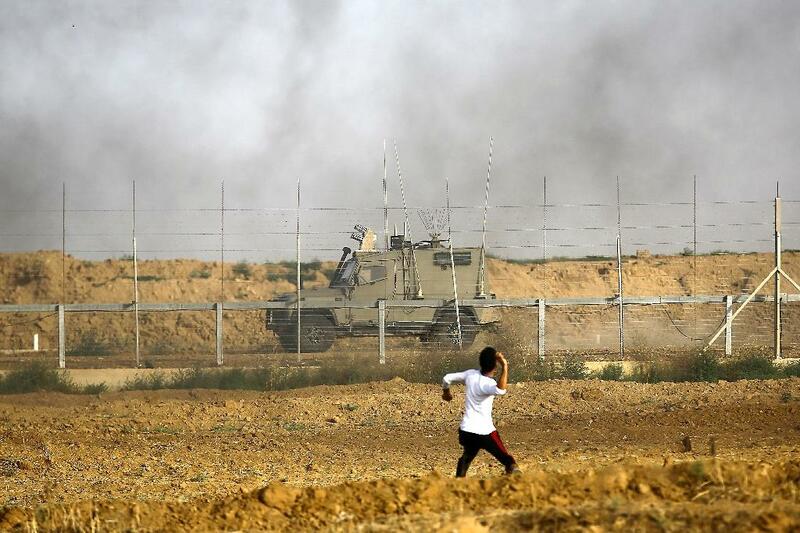 Jerusalem (AFP) – Palestinian militants in the Gaza Strip fired a mortar shell in southern Israel on Tuesday, the army said, as tensions in the border area boiled. A statement by the Israeli army said: "Twenty-five mortar shells were fired at several sites on Israeli territory." "Most launches were intercepted by the IDF's Iron Dome air defense system," the army said. The police said that "a number of the mortars landed in open areas within Israel," without any reported violations. " On Monday, a Palestinian approaching the border fence became familiar with what the Israeli Army said its "intention to carry out an attack" killed by tank-fire One day before, a tank was aimed at an Islamic Jihad observation point in response to a detonator at the border fence. Three members of the militants were killed and Israeli media said Tuesday's projectiles are the Islamic Jihad's response to the attack. At least 121 Palestinians were killed in the weeks of riots since March 30 when Palestinians began calling to return to their historic homelands in Israel. Israel says it just defends its borders and accuses Hamas of encouraging thousands of Palestinians to break the border and attack Israelis. Also on Tuesday A group of activists from Palestine should set sail by boat to break the Israeli naval blockade.